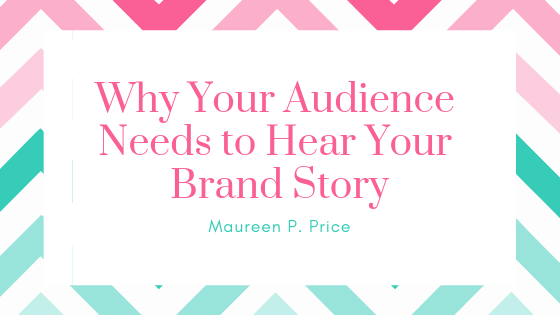 If I ask you to tell me your brand story, you don’t know what story to tell, or you tell some irrelevant story. What do you do that adds value to the world, and serves your target audience? What does your audience want? How does your offer give them what they want? And why would they want it from you, rather than someone else? Can you tell me an engaging, compelling and entertaining story that answers these questions? If not, read on, my friend. Human beings have been telling stories for thousands of years. We start telling stories when we can talk. That’s because our brains are hardwired for storytelling. It’s a survival mechanism. We need to hear stories about poisonous plants, dangerous predators, weather patterns, warring nations and evil dictators, so we know how to avoid danger and maximise our chances of survival. Some of the most successful companies in the world like Google, Apple, Microsoft, SAP, Red Bull, Coca Cola, Nike, NASA and the World Bank employ Chief Storytellers. Julie Roehm, Chief Storyteller for SAP, says great storytellers inspire people to create nations, develop new markets and change the world. 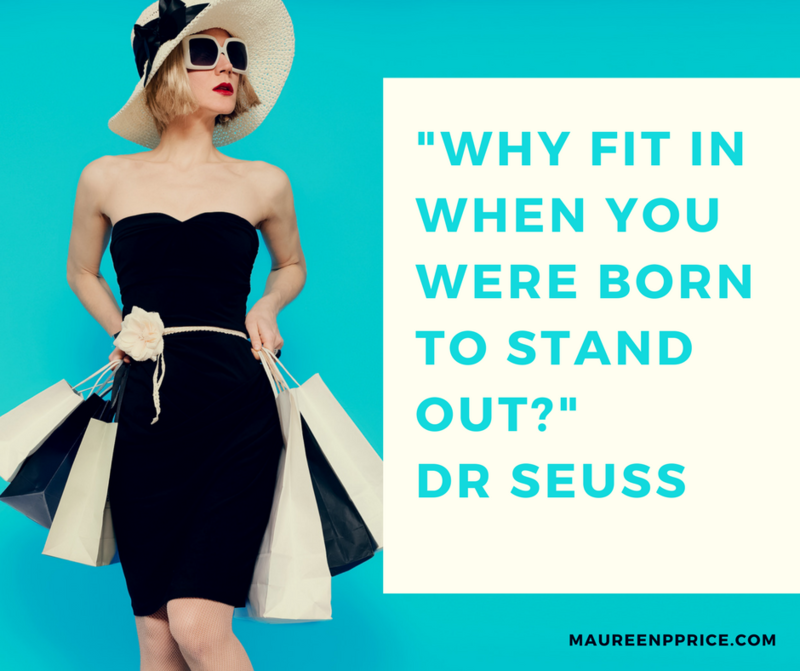 In today’s noisy, distracted online world, if you want to get attention and engage your audience, you need to stand out rather than fit in. You need to stop being like everyone else. This can be a problem because your brain is hardwired to fit in. Millions of years ago, if you stood out on the savannah, you had a greater chance of being attacked by wild animals or rival tribes. You need to build a brand that gives you credibility and authority and distinguishes you from your competitors. And you need to ensure your brand is known to the world. If you don’t, other people will brand you with their opinions, or worse, make you invisible. People have more trust in a brand they are familiar with and are therefore more likely to buy. Great brands stand for something and are highly visible. You need to engage prospects with stories that entertain, inspire, and educate about who you are and what you’ve got for them. Stories are what make people decide if they like you, if they believe you understand their problems, and if they want to do business with you. The most successful brands tell stories that make us feel emotions that compel us to buy their products. Brands are constantly telling stories and inviting us into their experiences. Red Bull gives us wings and invites us to watch extreme sports. Harry Potter gives us an enchanting story and invites us into the magical world of wizardry. For detailed information on how to tell your brand story using the structure of the Hero’s Journey, you can read my blog, How to Tell Your Brand Story here. 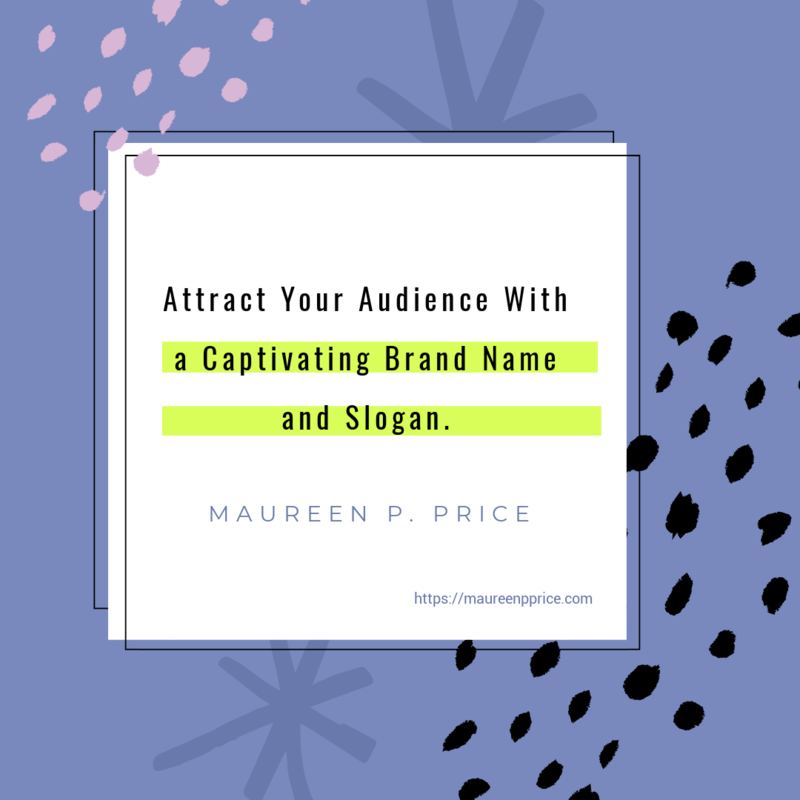 You need a captivating brand name and slogan that tells your audience who you are and what you’ve got for them. When you know your brand name and slogan, you have a powerful way to connect with your target audience. 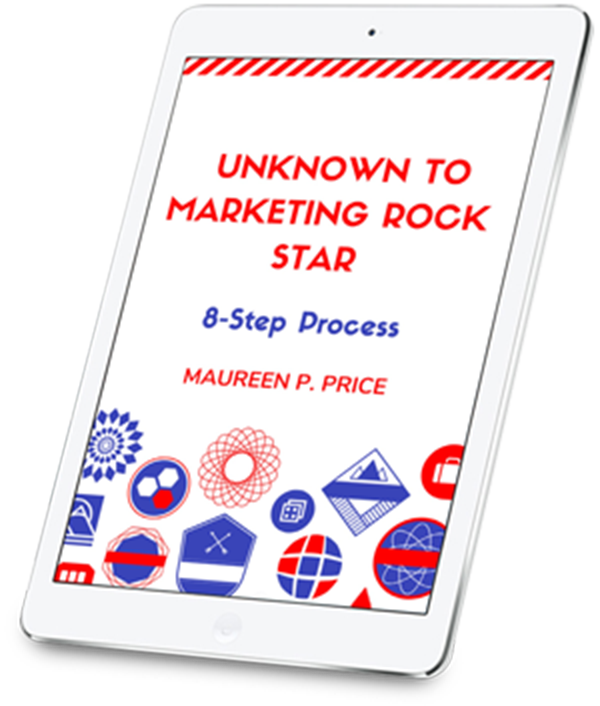 I help you tell your story in your unique voice and style, so you can connect with your tribe and sell your products. Your customers want to know what it is about you, that makes you perfect for them. It’s important to give them a clear message about who you are, what you stand for and how you’re different from your competitors. Your brand story needs to be engaging, compelling and entertaining with a satisfying ending. You want to delight your customers, so they keep coming back for more. I love working with marketers and entrepreneurs who have great products that make people’s lives easier and better. I love writing for the consumer electronics market plus the health and wellness market. I believe at the heart of every great brand is a deeper meaning that transcends the product. As a brand storyteller, I seek to discover what is truly unique about you and your products. My greatest strength is unravelling the ideas in your mind and shaping them into an inspiring, powerful brand story. 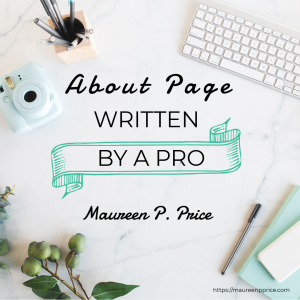 If you want a branded About Page, click or tap the graphic below.